Don’t get stranded - a spare derailleur hanger is always a good thing to keep in your parts kit. The Orca Gold/Silver Electronic Derailleur Hanger installs on the bike with one small machine screw. It includes the fastener and is compatible with 2011-2014 Orca Electronic frames. 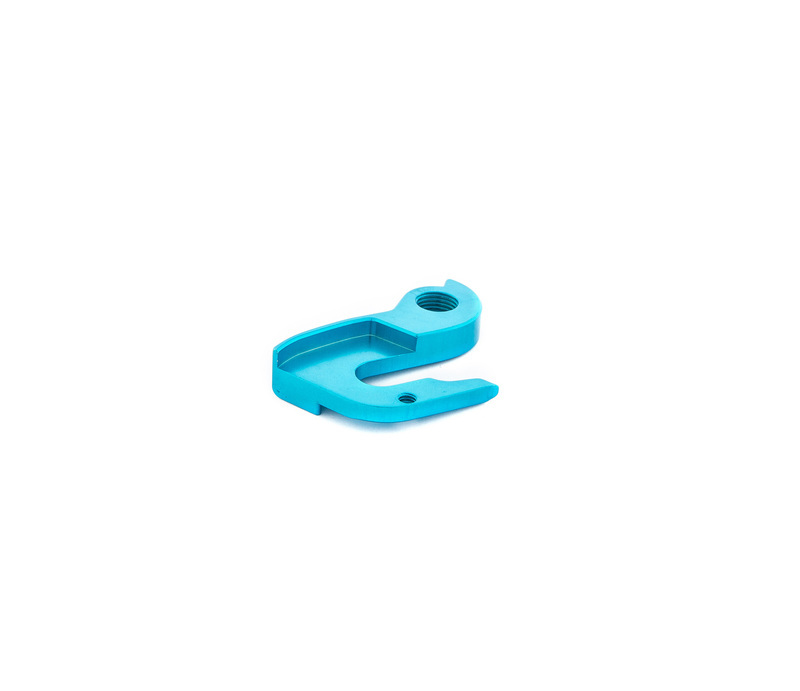 Bild BLUE DERAILLEUR HANGER FOR ORCA GOLD ELECTRONIC MODELS herunterladen JPG- 116 Kb.